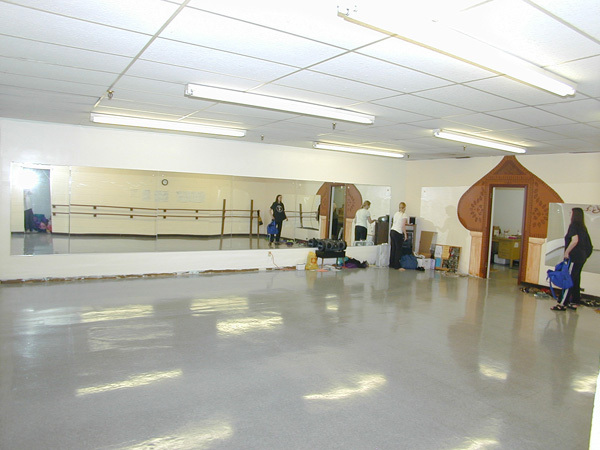 We have two beautiful studios to rent. Check out pictures, dimensions, and availability for each below. Need more information? Contact Jenny by email. Check studio availability on our calendar. (To select which information you want to view on the Calendar, click the "Select Category" arrow just below the date.) When you are ready to discuss your rental, please contact Jenny by email or call the office at 612-872-6050. Our beautiful south Minneapolis space is 35' x 41' with sprung hardwood floors and two mirrored walls. 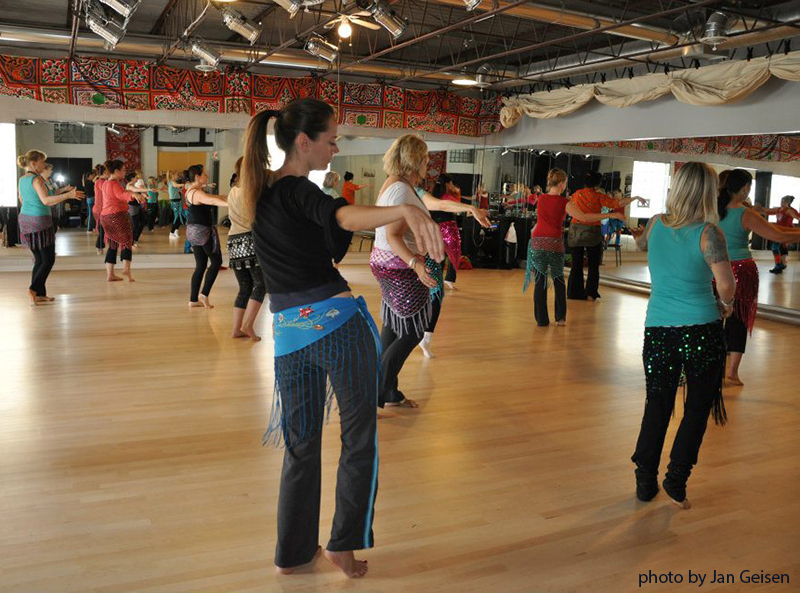 Contact us for more information if you want to host a social dance or other event. Our main entrance is off the lot on the south side of the building. Go through the glass door that is in the part of the building that juts out in the northwest corner of the south parking lot, and turn left. Our secondary entrance is off the lot on the north side of the building, next to the police station. Go through the glass door. Our studio is down the hall and to your right, through the purple door. Parking is easy. Parking options include the parking lot on the south side of the building, the parking lot on the north side of the building next to the police station, and ample street parking. Transit Information: Bike racks are right outside the studio door. We are on the 7, 21, 27, and 53 bus routes (info), and we are 2 blocks east of the Lake St-Midtown light rail stop (info) on the blue line. 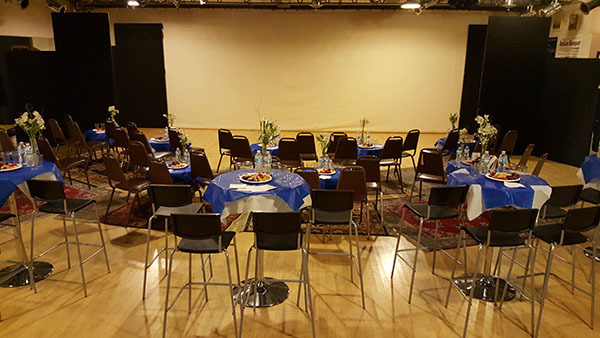 The Minneapolis space can also be set up as a Cabaret Theater with intimate seating for up to 56. Please call for pricing information for this set-up. 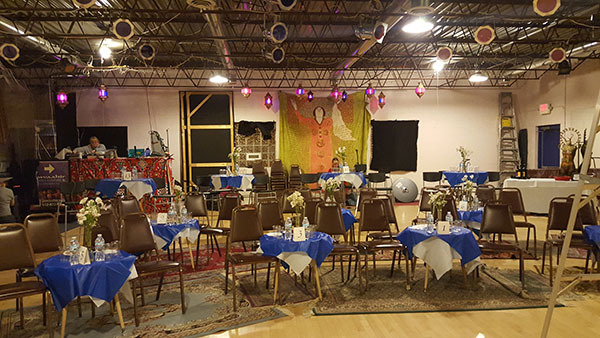 Our hand-painted Bloomington space is 30' x 30' with one mirrored wall. 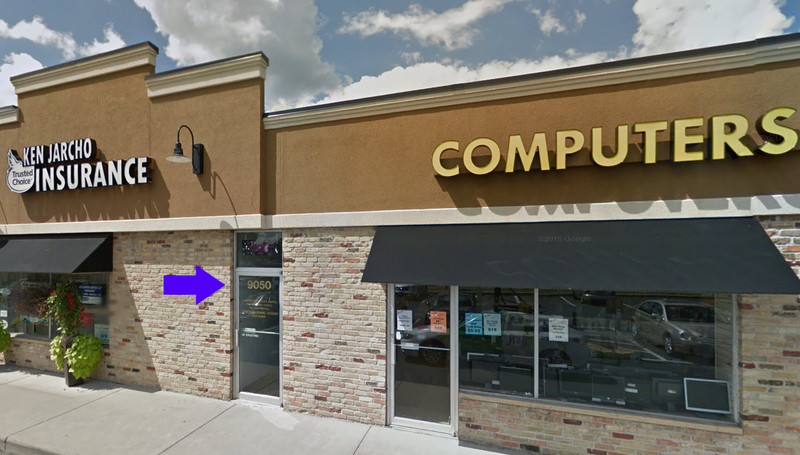 The studio is located 7 blocks east of I-35W at the 90th Street exit. 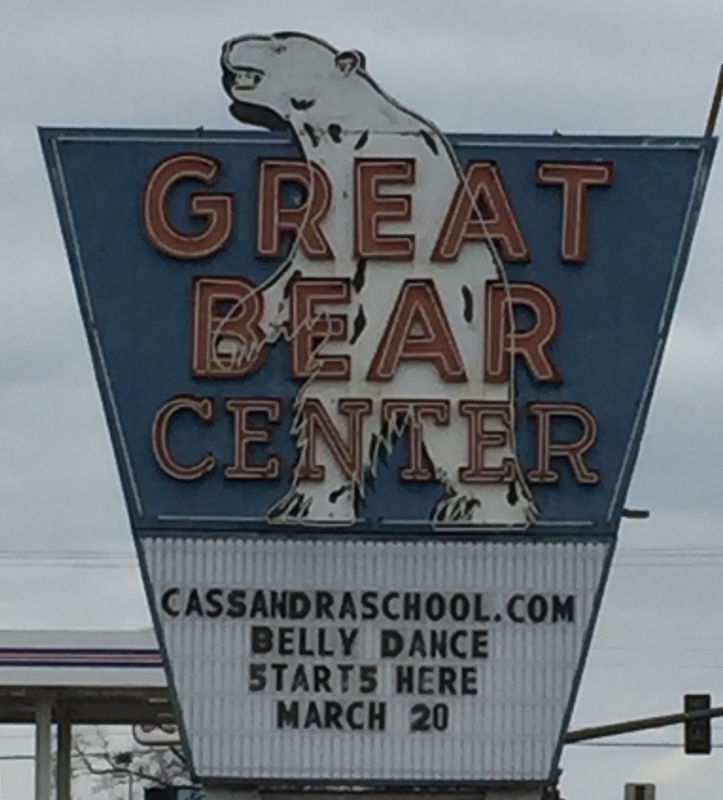 It's in the lower level of the Great Bear Center. The entrance, below the lit Cassandra School sign, is near the center of the mall.